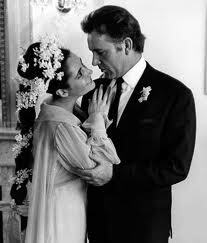 On this day in 1964 – Richard Burton and Elizabeth Taylor married (each other) for the first time. This entry was posted in Uncategorized and tagged Burton & Taylor. Bookmark the permalink.